Size: 4.9" x 5.8" x 0.9"
First of all we need a small translation: EUROPA is the German translation of Europe. 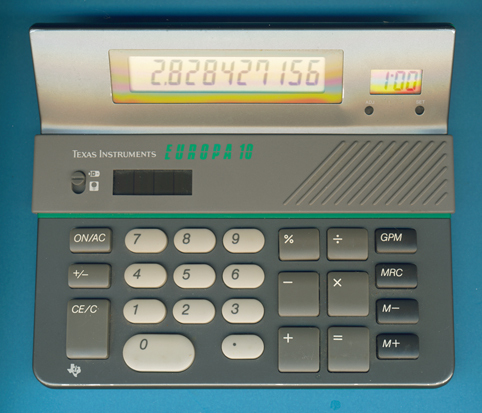 Texas Instruments introduced the EUROPA-products beginning of 1990 as an independant design line. The internal designation of this EUROPA 10 is simply TI-611. An identical housing was used for a Databank called simply EUROPA.